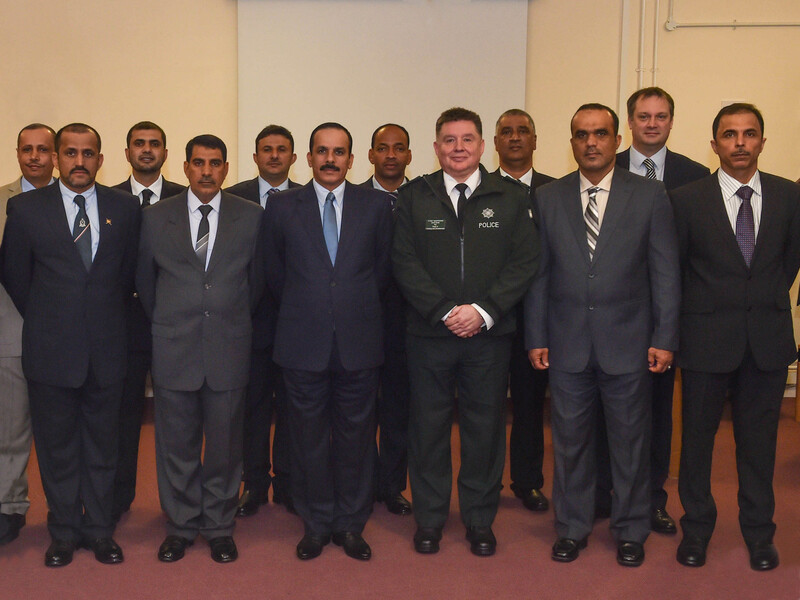 In March NI-CO was delighted to welcome His Excellency Inspector General Hassan Al Shereqi from the Sultanate of Oman to Northern Ireland. His Excellency was visiting as part of a larger public order training programme which NI-CO is delivering in partnership with the Police Service of Northern Ireland to a group of commanders from the Omani Ministry of Interior. After officially opening the 3 week tactics and command and control training course at Garnerville Police Training College, H.E. Minister travelled to Ballykinlar to take a short tour of the training village and review a demonstration of the tactical firearms units, close protection scenarios and public order demonstrations. During his visit, His Excellency also met with Arlene Foster MLA.